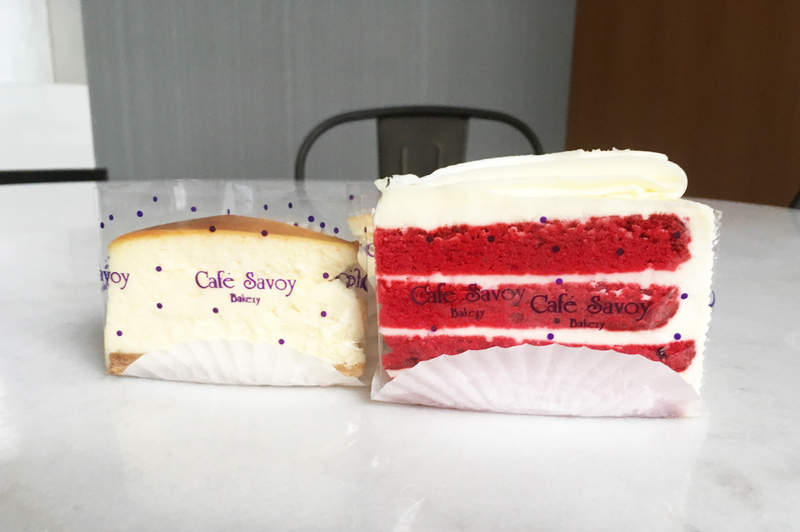 Cafe Aloaf/Aloaf Bakery, formerly Savoy Bakery, has been under new ownership for a while, but fear not, it’s the same baker. Now, the reason I wanted to write about them today is because I’m having a serious moment with two of their cakes. The red velvet has always been one of my favorites to eat, with its incredibly moist cake and cream cheese frosting. The cheesecake I recently fell in love with because my uncle brought some over to me and it is OMG good. The cake is so freaking sturdy that I can hold a slice of it in my hand and eat it like that, which no pieces falling off. And the crust on the bottom! My mouth is actually watering thinking about that crust. I feel like I’ve had their cheesecake before, but for some reason, it was so memorable the last time I had it. Either I just didn’t appreciate it enough the first time around or they changed the recipe. Why am I posting about this today? Because I ordered one of each for Thanksgiving! HAPPY THANKSGIVING, if you celebrate!